You are going to love this. 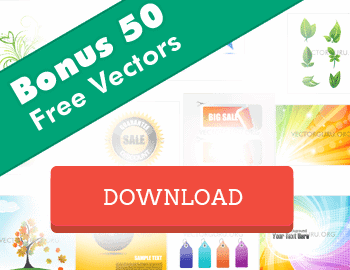 Vectorguru brings you an absolutely Free Avatar Icon Set, offered exclusively from Vecteezy. Vecteezy is a popular website that offers free and premium Vectors contributed by professional Vector artists from around the world. The Free Avatar Icon Set has been offered exclusively for Vectorguru fans and readers. So go ahead and download this awesome Icon Set and use it in your websites and blogs right-away. Tweet this and share it! What’s included in the Free Avatar Icon Set? This exclusive Free Avatar Icon Set is a high quality vector which contains 32 avatar icons, with each icon distinct from the other. The artist has gone into enough detail to differentiate not only gender, hair styles and clothing, but also has been able to cover people’ facial features with diverse ethnicity. I’m pretty sure, that in this Free Avatar Icon set, you would find the icon that resembles you too. Files contained in the Free Avatar Icon Set. All the graphics in the files are organized in to coherent groups and layers. The AI and the EPS being Vectors are of course completely editable. You can alter the color or even interchange elements to create some new faces. The PSD does not contain paths but has fairly large avatar graphics on separate layers which can be scaled down to suit the purpose. You may also crop the PNG file to use the avatars directly in your webpages. Where can I use the Free Avatar Icon Set? You can incorporate the Avatars in your CMS so that they can be used by the users when they comment on your posts or contribute content to your blog. In websites avatars can be used for testimonials contributed by your clients and customers. They can also be used to represent team members on your company web pages. You may also want to use one of the avatars for your own representation on other websites, forums or blogs where you post content or comments. Why use Avatars in websites and blogs? On the web where content is contributed by millions each day, there are very few contributors who are comfortable to share their photo while most choose to maintain their privacy. There are infinite pages on the web with marvelous content written by outstanding people who may shy away from posting their own photographs for several reasons. Content contributions by a faceless person can no doubt be informative, but they tend to make the reader feel disconnected from the author and would relate to him better if they knew how he appeared. It’s magical how the content appears more convincing and real when readers know how the author looks. This is where the Avatars come in. Avatars graphically represent people and some awesome ones, like the ones from the set here can be used to closely resemble your appearance. It's just the matter of choosing the right one. If you haven’t downloaded your Free Avatar Icon Set, I suggest you do it now and get amazed at the quality of this free exclusive download. I’m sure most of these icons are going to find their way into your webpages. As Vectorguru readers, you would be receiving more freebies and treats more often that you would expect. Until we have them coming, make the most of this Free Avatar Icon Set.